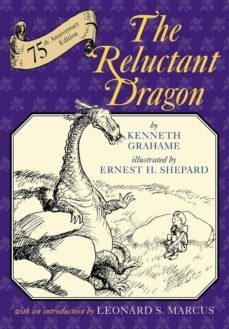 n this beloved classic story, a young boy befriends a poetry-loving dragon living in the Downs above his home. When the town-folk send for St. George to slay the dragon, the boy needs to come up with a clever plan to save his friend and convince the townsfolk to accept him. This story first appeared in Grahame's Dream Days and was first published as a separate book by Holiday House in 1938 with illustrations by Ernest H. Shepard.